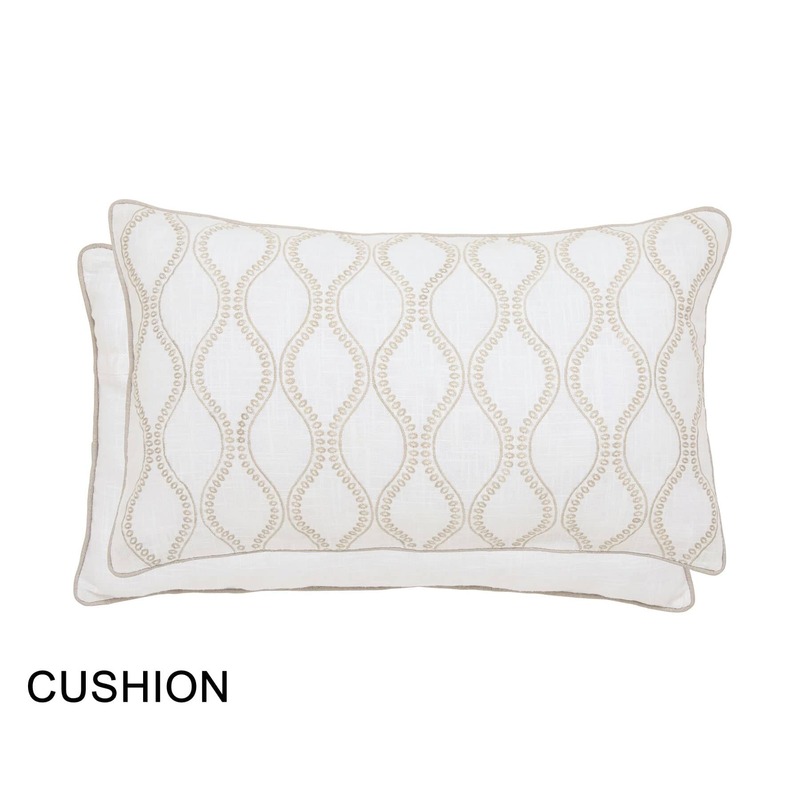 BUY SANDERSON LYON LINEN NOW! Lyon features a classic floral motif captured in a softly textural jacquard weave, and crafted from a blend of pure cotton and polyester. Inspired by the Sanderson wallpaper of the same name, Lyon is available in a calming linen colourway or a linen alternative and will add pattern to your room in a subtle way. 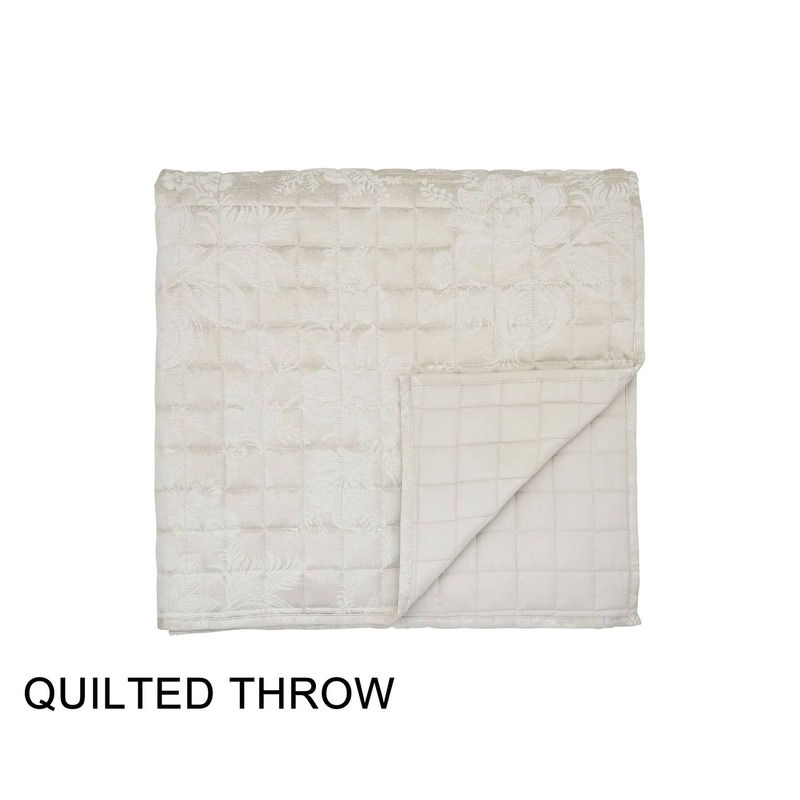 The range includes 4 sizes of duvet cover (single, double, king and super king), an oxford pillowcase and a co-ordinating quilted throw, each with a plain tonal polycotton on the reverse. Complete the look with lined jacquard curtains and an embroidered cushionfeaturing an ogee style pattern. 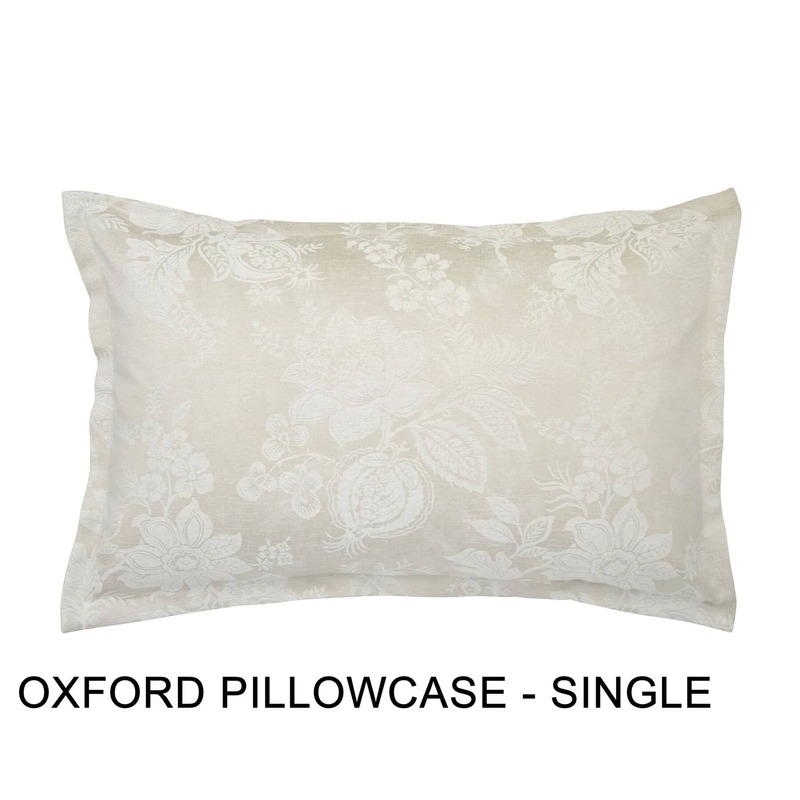 Duvet Cover, Curtains, Pillowcases & Throw: Front: 45% Cotton/55% Polyester. 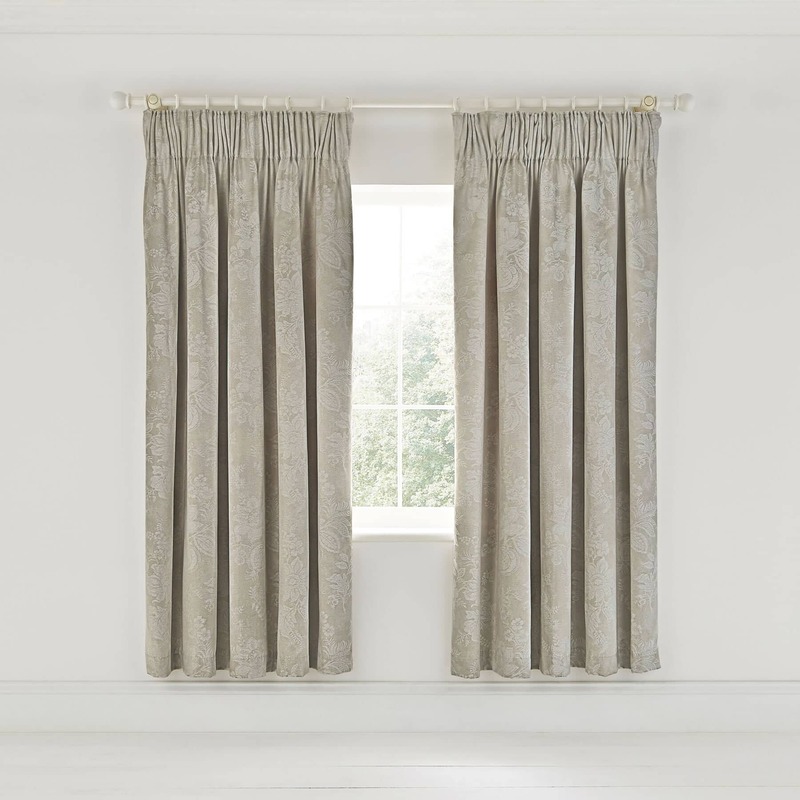 Curtains are pencil pleat with a standard curtain taped header. 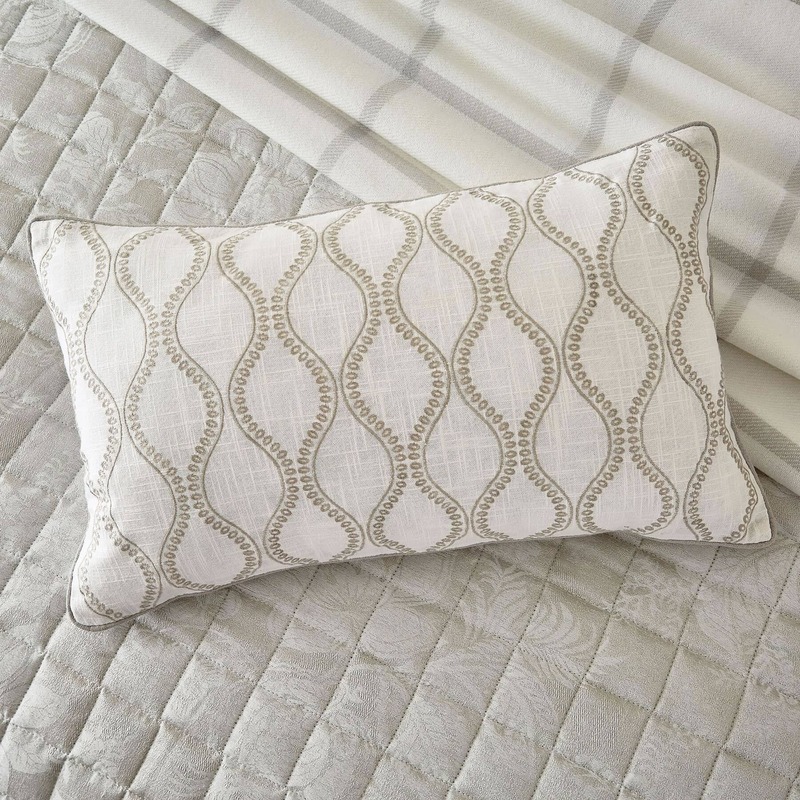 Be the first to review Sanderson Lyon Linen click here to write your review.